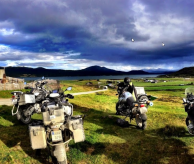 The ultimate motorcycle adventure for gravel riders! Five days of driving on gravel roads in stunning scenery. This tour is only for gravel bikers. Motorcycle and tires must be suitable for gravel roads. 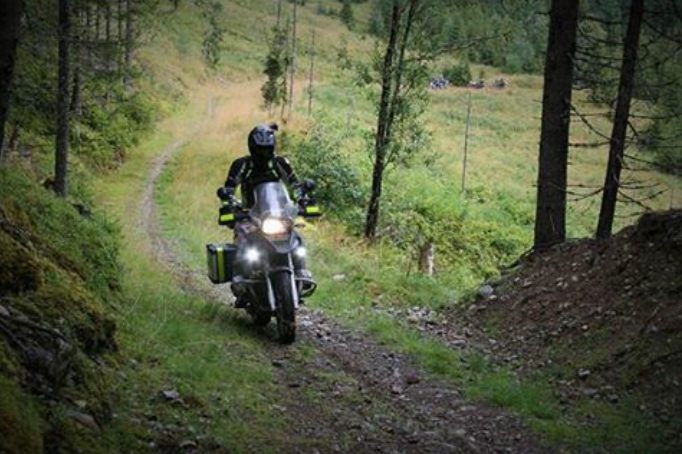 Allroad/Adventure bikes are recommended. Racing bikes and Choppers can not be used. We recommend knobbies, softbags or aluminium panniers and crash bars on your bike. The tour takes place mostly on well-maintained mountain roads, but there will also be driving off the beaten tracks. There will be plenty of breaks along the way, but the day stages of the tour will be between 180 and 250 km. Included in the price: Four breakfasts, four dinners, accommodation in good mountain hotels and of course guiding every day. Not included in the price: Personal- and travel insurance, personal safety equipment and motorcycle, tollroads, lunches and drinks with dinners.